Years ago, back when I was young enough that they allowed me onto the island of Ibiza, I remember walking through the Hippy Market at Es Cana and whiling away a couple of sunshine hours haggling over tie dye t-shirts and Bob Marley posters (hey, it was the 90’s). Yet, while all the thousands of examples of dreamcatchers and incense sticks have faded from my memory there is one thing that I’ve never forgotten; a fairly nasty set of leather belts with cheap looking “Versage” belt buckles. I remember thinking at the time, and it still puzzles me to this day, why would anyone buy this? Although I have no particular personal desire to have a Versace belt buckle holding up my trousers I can understand what it is about that brand that encourages people to affiliate themselves with it. Like all high fashion companies a great deal of advertising revenue is spent on the creation of an image of luxury and quality which will then translate into consumer desire. As an extension of that thought I can also understand what it is about a really good and convincing fake that will appeal to those people who want to buy in to that image, but without the price tag. What I’ve always been confounded by however is what is the place and purpose of the really obvious, bad fake? In an era when counterfeit goods have become increasingly sophisticated does the bad fake even still exist in the same way that it once did? Sadly, in the world of football anti-counterfeiting we still see a surprising amount of this type of botched merchandise. For football fans who ardently support their team at the expense of all others you would assume that misspelled names, incorrect dates and even products which feature more than one (often rival) club would be a huge turn off. As recent cases have showed us, however, there’s even a market for fans who are so fidgety that they can’t decide whether they want their spinner to feature either Chelsea or Manchester United, for Mancunians and Liverpudlians who can’t decide which team they support let alone what time it is, and for those latter day Red Devils who think the club was established in the late 70’s. Some of these items are, to be sure, genuine mistakes made by manufacturers whose command of English is incomplete. But deliberate mistakes and trade mark infringements so heinous that they can only be intentional are never too far away either, and it’s this latter category that raises issues surrounding the function of different kinds of counterfeit goods. First, perhaps we should rethink the idea of counterfeit merchandise, less as a direct copy of another item or brand and more as an example of an item as a facet of experience. Anyone who ever longed for a Mr Frosty machine or a Millennium Falcon toy can tell you that the power of memory is intimately linked to the having or not having of certain things. And when you were younger maybe you too would have enjoyed a Mrs Frostee or a Millennium Eagle in the same way? In a related example provided by football, one of the areas which has been a subject of vexed debate is the place of matchday or half and half products. Everybody, it seems, has a particular kind of hatred for matchday products as examples of the dilution of what it means to be a football fan. Multitudes of online and pub screeds about friendship scarves and badges as the worst kind of football tourism, where competing clubs are put together on a single product, exist. Yet these products also still exist and still sell in great numbers at stadia across the world every weekend. Historically these products haven’t been embraced officially by clubs as it was assumed that fans would be skeptical about buying them. As a result these products have mostly existed in a hinterland of unofficial and illegal sellers who, due to potential enforcement taken against them, often eschew reproducing exact trade marks in favour of items which are so poorly rendered that they unlikely to be mistaken for anything genuine. Which raises the same question then, why would anyone buy this? If we think about counterfeits and trade marks only in the traditional vein perhaps this question is unanswerable. Club names, dates, club crests, league names and quality are all generally extremely poor. These kinds of goods do not function as a direct replacement for official merchandise so they must therefore offer something else to the consumer. 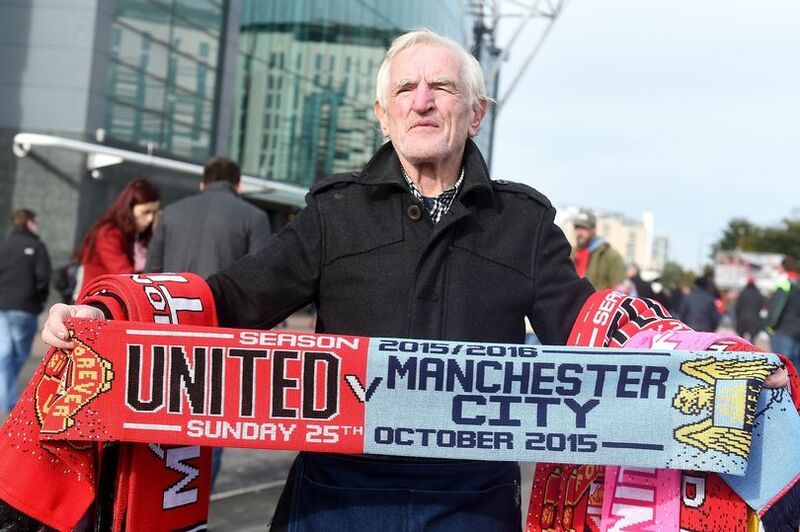 I believe that the purchase of a matchday scarf is not a question of HAVING, but of BEING. The consumer does not purchase a piece of the football club itself, but they purchase an aid to their memory of the day they attended such and such a game (or a Hippy Market in Ibiza). For that reason it doesn’t really matter how good or bad something looks or performs because the only thing it really need do is to work as a memory and to create a feeling. There is a slightly skewed Cartesian cogito at work; I bought therefore I was present. Rather than view the bad fake as a single entity then, we might think of more than one categorisation, this first one being the bad fake as a stand in for experience. This wouldn’t be a brand protection piece without thinking of a way to combat this particular kind of counterfeit problem, however, so is there something to be said about the development of useful strategies? Many times in brand protection circles we immediately reach to our “enforcement” holsters in a bid to draw a weapon which will solve all problems, but in this instance there is also the possibility that brands, official licensees, councils and owners of physical and online spaces might be able to simply work together better. My opinion is that on many occasions, such as events like football matches, brands should not be afraid to get out into the streets and to leave the confines of the shop or the sanctioned retail space. If consumers want to buy then it is often as a result of some momentary experience, something which can generate official sales for genuine products. Let’s not leave the streets to the counterfeiters simply because it’s cold and the shop is the easiest space to stay. We must encourage flexibility in distribution and sales in order to try and further eradicate products which seek to capitalise on the hard work put into developing legitimate brands and products. However, there is still also the question of the bad fake as simply a bad fake. I’d like to think of this second example (the Sunbucks Coffee or Abidas sweaters of the world) as the brainworm. These are the types of fakes which, although laughably poor, rely on just enough of a sense of familiarity that they trick the brain for a moment and make the consumer think, “yes, I recognise that and I’m willing to take a chance on it”. Maybe this moment is really all it takes in that it creates a space in your mind to make you spend, to capitalise on an urgent need to buy a coffee or an item of clothing. What I think it speaks to is a changing society, one which is ever more motivated by impulse and by living in the moment. Whether this is good, bad or indifferent is obviously totally dependent on the situation, but what we can comfortably say is that the pace of life has sped up immeasurably in the past twenty years and with it has come a society which expects things with a previously unseen sense of immediacy. We have become a people who want to capture every moment with camera phones, who are constantly on the move, constantly connected. One of the reasons for the global financial crisis in 2008 was that nobody really saves money any more, that debts are deferred into mortgages, loans and credit cards. Maybe a part of these brainworm counterfeits is that they too are a function of this sense of immediacy. Perhaps if we took longer about things, considered the production of clothes or food or any other commodity then we would consider the nature of craft and how long things can genuinely take if they are made with care. Maybe if we took longer to decide exactly what it was we truly wanted or needed and then took the time to save for it then some of these fakes would cease to be relevant. Maybe a little slow down and a few sunshine hours smelling the Hippy Market incense roses would be good for us all.